Entrust Your New Construction Project to Chambers! Chambers Restoration Inc knows the importance of working with other trades during new construction. We dedicate a fulltime superintendent to each new construction job awarded. 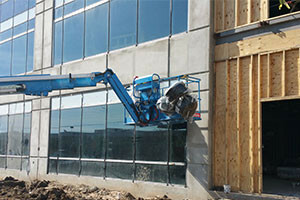 Doing this lets our customer have a direct contact on the job site each day if any issues should arise. We make a commitment to our customers, providing more value than any other company.